Please join us for our April General Meeting. 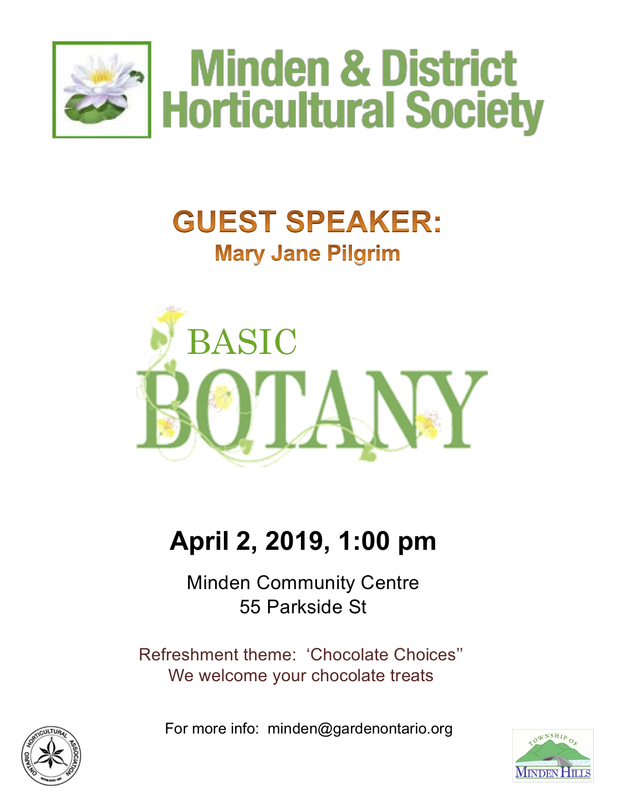 We welcome Mary Jane Pilgrim, President of Peterborough Horticultural Society and a master gardener with the Peterborough Master Gardeners, who will speak with us about “Basic Botany”: a little Latin, some discussion on plant families and classifications and a few skills to be able to determine a plants family tree. There may even be a bit of a quiz!